Should we even have an event? As much fun as events can be, you want to have a clear idea of what the end result should be. Who is our audience? Is this for existing supporters or are you trying to reach new ones? Maybe your event is for clients. Determine your target audience before you start planning the event itself. What do we want them to do? Have a clear call to action for attendees. Is an event the best solution? Events can be time-consuming and expensive so make sure it is the best way to reach your goal. If your goal is only to raise awareness, you may want to think twice. Once you’ve determined a fundraising event is the best approach for your organization, create a plan that will help you organize, market and stage your event. Set ONE goal and focus on that goal only. It needs to be a goal that is measurable and specific. Also, you must have a budget and stick to that budget! Your budget needs to line up with your ticket price. If your event is a lavish affair, the ticket price needs to be higher. Do you know how much your attendees are willing to pay? Be sure they are willing to pay that much for a ticket before you decide. Make sure you have a community of supporters already in place. A large event is not always the one to do first. You may need to do a few smaller events so people can get to know you before throwing that huge gala. You need to define your value so you can clearly communicate why your organization is a good fit. How does your mission align with that sponsor’s goals? Do they have employees already supporting your cause? How many people in the community have benefited from your organization? Talk about the size and the demographics of the audience you’ll reach. Tell potential sponsors how they will be featured and promoted at the event. Have different packages and sponsorship levels to attract small “mom and pop” type sponsors as well as the big brands. Securing a sponsor starts with creating a relationship. Do not limit yourself to what you can offer the sponsor in a package. Ask them what is important to them and build a package around that. They may want less than you think. Pay attention to your invitation. Make it compelling and relate it back to your cause. Create a sense of urgency with early bird pricing and exclusive benefits for early registrants. Go green! Only send the paper to those that need it and sell tickets online. Solicit additional donations from both attendees and non-attendees. Give them the option to donate beyond the ticket price — many attendees will choose to give more if asked. Encourage ticket buyers to spread the word – let them easily share the event with Facebook buttons or tweets. Consider creating a peer-to-peer fundraising campaign to complement your event and help make the experience even more personal and interactive. Do something a little different than your ordinary chicken dinner. Encourage “out of the box” ideas, but try to also educate your supporters also. Instead of your normal cocktail hour, create an “educational gallery“—showcase great photos and compelling stories about what you are doing. Establish a communications plan. Use your website, social media, email and print. Have corporate sponsors promote the event as well with a widget for their website. Invite people to be champions for you. Find those supporters who are the most passionate about your cause and ask them to promote the event on their social media accounts. After the event review whether you stuck to your budget. Did your promotions attract attendees? Did more people sign up online or offline? Did you receive new donors? Were your corporate sponsorships successful? Analyze the results of these questions and assess what worked and what didn’t. After the event, make sure you thank your supporters and cultivate new donors and provide event attendees with additional opportunities to connect to and support your cause. If you are looking to host an event, but still aren’t quite sure how to pull it off, try Network for Good’s easy-to-use fundraising event management tools. 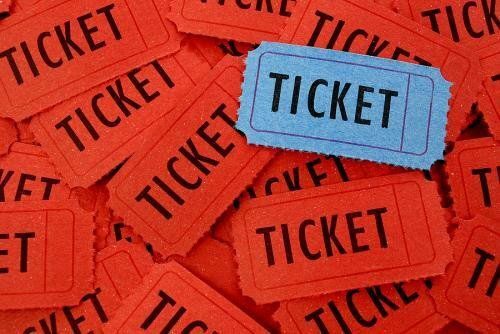 Our solution allows you to create a customized event page, sell tickets and ask for donations from those who can’t attend.